On October 29th 2016 two ex work colleagues of David and Hannah’s decided to truly put themselves out of their comfort zone and take part in an event known as Pain & Suffering. The event is a 10 mile obstacle course race described as one of the most brutal in the UK. 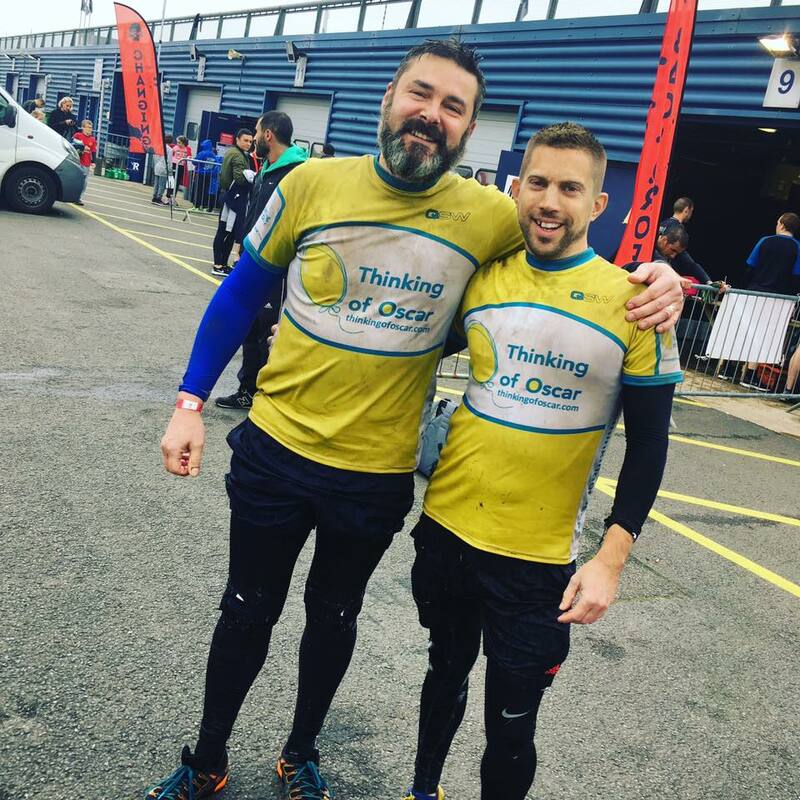 We wanted to say a huge Thank You to both Jason Pritchard and Austin Pierson for taking on the challenge and completing it to raise in excess of £500 for Thinking of Oscar between them. Tough is an understatement! Not helped by the fact I fell off an obstacle and hurt my back and head at 14km! The remaining 6km were really painful. I have to admit I had to dig deep focusing on why we were doing it and not wanting to let my amazing supporters down.